We did it! Join Deb, Erika, Liz, and Lynne as we discuss the very last first for the year. We’re finishing off series one with “Bad Wolf” and “The Parting of the Ways”. 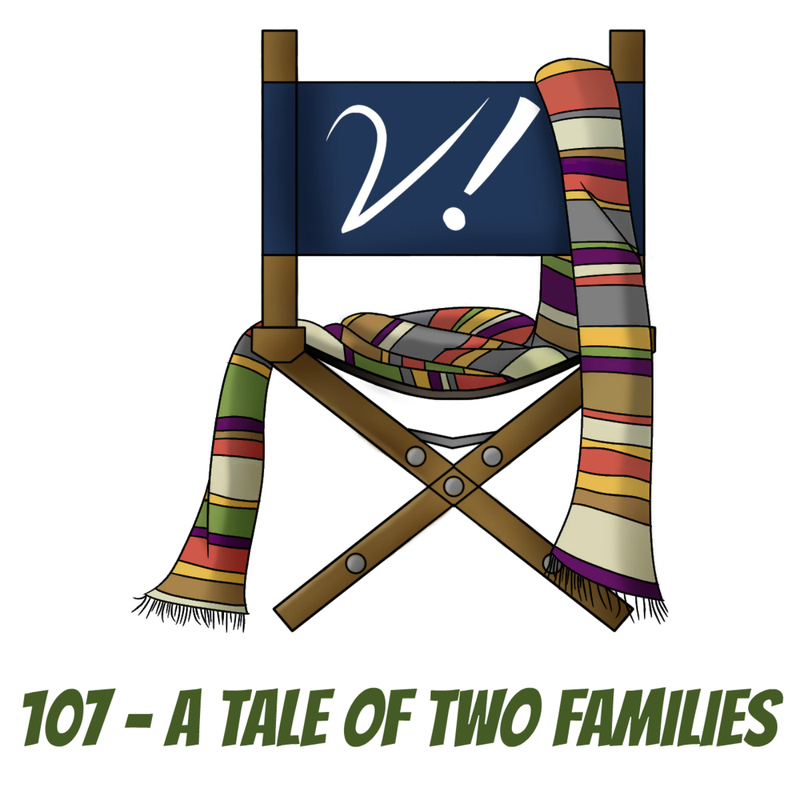 We talk about this two-parter as well as its place in the context of all of new Who as a season-ender, and it gets a little personal as we discuss how Doctor Who has impacted our lives. What do you think about these two eps? Do you think they’re the best example of RTD’s finales? And how did you take the regeneration? Was it your first? Or was this process old news to you? Let us know in the comments! Lynne squees over the trailer for the Christmas special! Erika lols at a fanvid of classic DW companions as Charlie’s Angels! Liz met Doctor Who fans 11 years ago and is giddy over set pics from the Christmas special! Deb attended an art show featuring a couple of Who-related projects! What are your thoughts on this two-parter? Do you like the Doctor as a “dancer”? Does that make you go all squicky? Do you like Captain Jack better here or later, in Torchwood? Let us know in the comments! continues to adore the Handwavium podcast! has a warm fangirl heart due to a minor lyric change by Frank Turner (and the Sleeping Souls) at the Reading and Leeds Festival 2016! appreciates the work Frank Turner does to support Safe Gigs! mega-appreciated meeting Verity! fans at WorldCon 2016! FINALLY has the Captain Jack Harkness Funko Pop fig on her desk at work! has a brand-spanking-new Doctor Who Colouring Book! recorded another delightful episode of The High Council podcast about “The Sea Devils”! enjoyed a visit from Erik, who’s on two fantastic Doctor Who podcasts: The Doctor Who Book Club Podcast and Doctor Who: The Writers’ Room! Uncanny Magazine wins the Hugo Award for Best Semiprozine! Our new-Who rewatch has reached Deb’s personal tipping point into super-fandom. Join Deb, Erika, Liz, and Tansy as we discuss feelings and poor choices and schmaltz and glorious 80s hair. How do you like “Father’s Day”? Did it reach into your heart, give you the feels, and make you a devout fangirl? Or did it confuse you to have all these strange emotions in your Doctor Who? If the latter, has that changed? Let us know in the comments! has some Big Finish on vinyl! received a time-travelling postcard from Night Terrace season 2! Erika had fun recording a special ep of Verity! for Uncanny Magazine’s Kickstarter! can’t wait to see (hear) Tom Baker in Star Wars Rebels! Deb got to visit the Philadelphia Museum of Art with an expert (Kathleen Schowalter)! It’s Eccleston time again! Join Deb, Erika, Katrina, and Lynne as we discuss a real workhorse of an episode, “The Long Game”. Adam, the not-quite-companion fails, the Doctor and Rose aren’t the most mature, and we play “we’ll fix it for you” to help Lynne handwave something that bugs her. Then we talk about potato chips. No, really. What did you think of this one? Did it make an impression? Have you revisited it since the first time you saw it? Let us know in the comments! Lynne’s collection of Doctor Who DVDs is once again complete, with the purchase of The Underwater Menace! Erika inspired a Mexican Doctor Who podcast, Doctor Quien! Kat discovered the existence of a Doctor Who board game, Doctor Who, The Game of Time and Space! Listener Helen made it possible for a fellow fan to attend Awesome Con! Chip, the Two-minute Time Lord, has made quite the contribution to fandom and podcasting, and we’ll miss him while he’s on hiatus. What do you think of this two-parter? Did the farting aliens or the domesticity turn you off? Or did you enjoy the drama? And is your reaction any different now than the first time you saw this (assuming you have seen it before)? Let us know in the comments! Lynne has 13 hours of David Tennant to listen to, as they re-released his BBC audios in a boxed set! Erika is getting excited for the spin-off, Class! heard gales of laughter as her daughters discovered Catherine Tate: comedic actress! helped her daughter through the DW rite of passage that is learning about the missing episodes. was cheered greatly by the lovely “firsts” comments on our last Extra! thanks Leah Flanagan for pointing her towards Galliday at Disney! Our sojourn through series 1 continues. 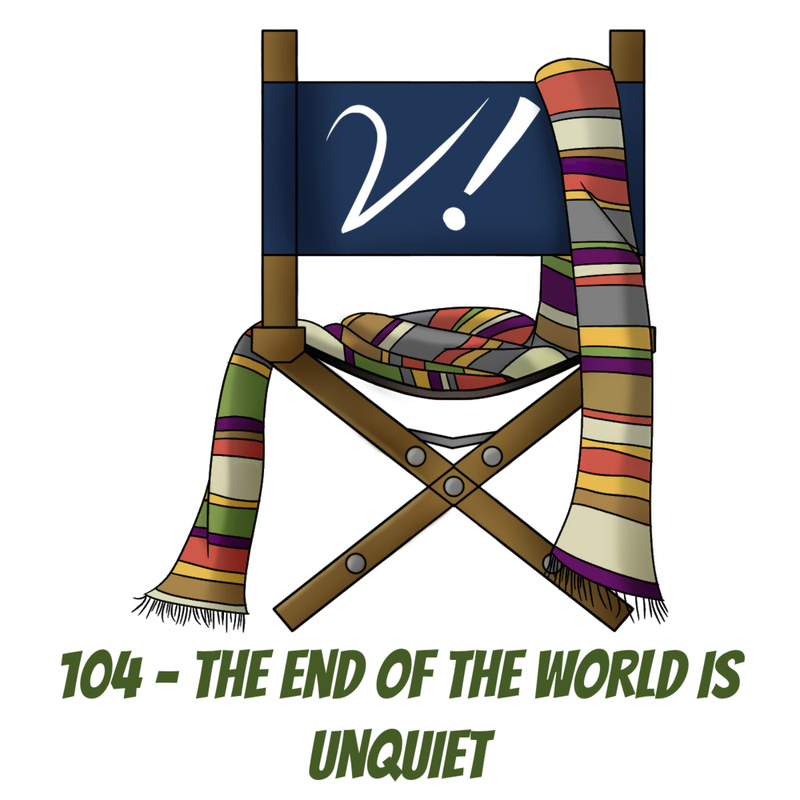 Join Deb, Erika, Katrina, and Tansy as we talk about “The End of the World” and, to a lesser extent, “The Unquiet Dead”. (If you want a more in-depth Verity! discussion about “The Unquiet Dead”, check out episode 83.) We talk about Rose’s first proper outings with the Doctor and what they mean to that burgeoning relationship. And yes, “relationship” can mean many things to many viewers. How do you feel about these episodes? Have your feelings changed as much as Erika’s? Were you a baby-fan like Deb the first time you watched? And how do you view the interactions of Rose and the Doctor in these early outings? Let us know in the comments! The Cornell Collective, live from Gallifrey One! a new accountant (yes, really), Andrew Carroll! The One podcast, recorded with Steven! an upcoming Lazy Doctor Who “marathon”! started a new fiction podcast, Sheep Might Fly! delights at Michelle Gomez dressed in (and tweeting about) River Song’s Christmas dress! loves the hell outta Paul Cornell’s This Damned Band! records a new podfic, “These Are the Days We Live Now”! finally has delightful new Doctor Puppet to watch! enjoys a Star Wars: The Force Awakens/Doctor Who series 1 mash-up! Tansy is a Ditmar Award finalist in 3 categories!